The National Council for Peace and Order (NCPO) says over 30,000 traffic offenders will face court trials, and more than 500 motor vehicles seized after authorities began to enforce traffic law strictly to curb road accidents during the week long Songkran festival. 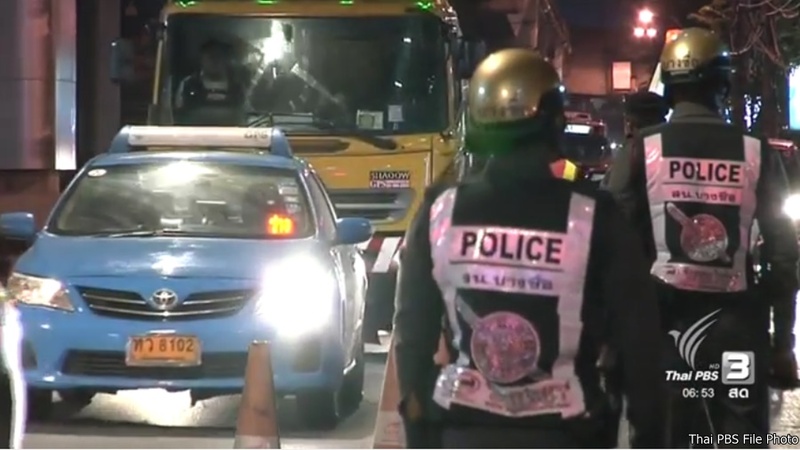 NCPO deputy spokesperson Col Sirichan Ngathong said on the first day of the tightened enforcement of traffic law yesterday under a slogan “drunk driving to face car seizure” campaign, authorities found 32,782 violations involving motorcycles. She said 535 motor vehicles were seized, and driving licences of 433 drivers were confiscated. Authorities will send 30,071 offenders to trial. She went on saying that for public transportation offences, authorities found 27,3370 violations by drivers of passenger buses and personal cars. Driving licences of 1,498 drivers were confiscated, and 102 cars were impounded while 25,549 drivers will be charged in court, she said.